Felt that property could do with a refurbish. I had asked if the accommodation was suitable for a wheelchair user and was advised yes apart from the little step at door and in the en suite shower room. Although my husband could access the cottage it wasn’t easy to get around in his wheelchair - the photographs online give the illusion of more space. Our friends who came with us would have liked the shower attachment to have been in situ in upstairs bedroom. Otherwise everything else was satisfactory and a very thoughtful hamper to start our holiday off after a long drive down from Dundee. Beautiful area. The cottage was wonderful and the village charming. I have already recommended The Hayloft to several people. I would definitely go back! Two small suggestions: a cutting board in the kitchen and a warning note over the switch that cuts off the hot water heater. A lovely week. Excellent accommodation. Bath upstairs was VERY slippery. Housekeeper first class despite being given some incorrect information by her office. Would use Rural retreats again. There was an overwhelming damp/foisty smell from downstairs bedroom worsening throughout our stay - definitely needs attention. What a shame you did not let the housekeeper/owner know during your stay. They would have been very happy to pop in and sort it for you. 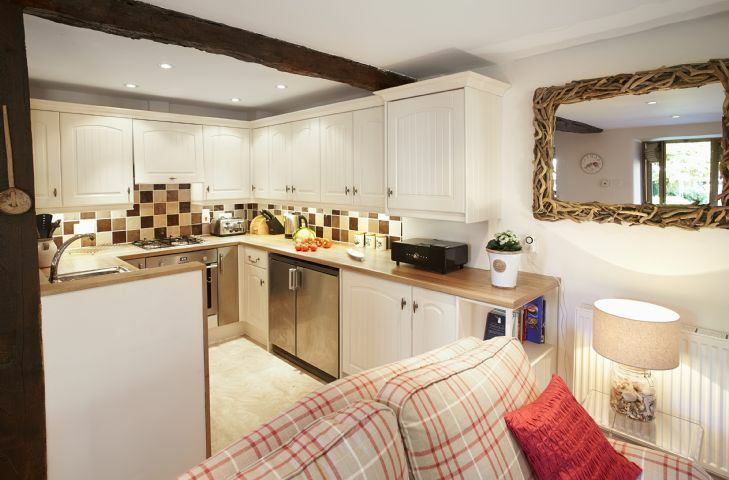 Spacious, very well equipped cottage in a lovely location. 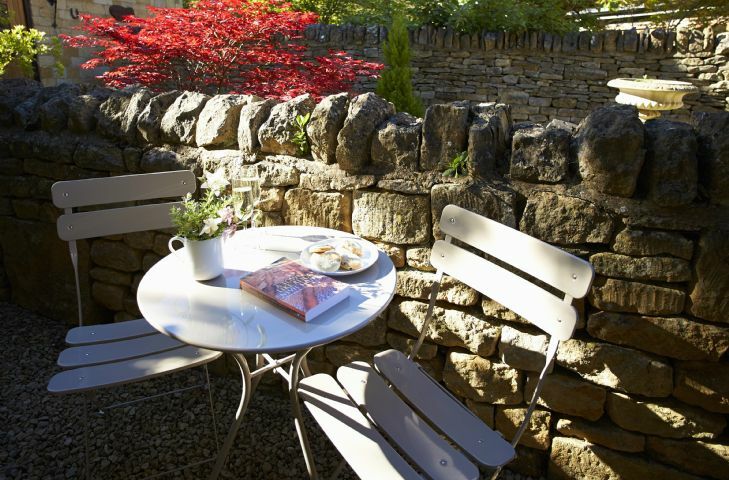 High quality, clean, comfortable, quiet cottage in a beautiful little village. Lovely inside and out. Great welcome pack. Enjoyed a glass of wine in the little garden. Would definitely return. We have stayed at this property before and really loved it. 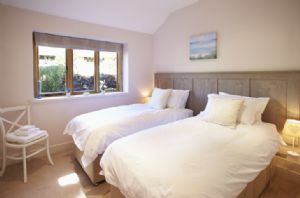 We thought that the housekeeper was wonderful and definitely the best we have come across in our many years of staying in Rural Retreats cottages. Nothing was too much trouble for her. Reservation agent was quick to respond and efficient. 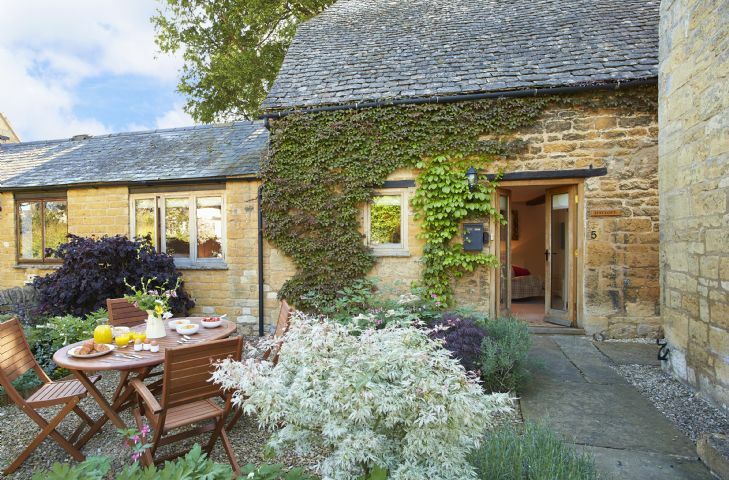 Great cottage for a stay in the Cotswolds. Welcome hamper on arrival was fabulous and a nice touch. Located in a beautiful village and very quiet. The cleaning of the property could have been better - we found crumbs around the toaster on arrival and the dish sponge was left over from previous guests, we would have expected a new washing up sponge. The bathrooms were very dusty, especially upstairs and looked like only a quick clean was done in between guests. I didn't bring this up, as we were tired after a long flight and arrived after 6pm - there were cleaning supplies in the cupboard, so I cleaned it myself as it was quicker than waiting for someone else to arrive the next day. Other than these things, all was good and we enjoyed staying there. Would definitely use Rural Retreats again and would make a point about ensuring rental is properly cleaned properly next time. Thank you for your feedback and your lovely comments about Hay Loft. I am so sorry that there were a few housekeeping issues on your arrival. This is a very unusual occurrence for the property and we can only apologise for the items that were overlooked. A comfortable cottage with excellent service.The welcome hamper, as in the past, was excellent. A Hayloft sign on the street would have been helpful. 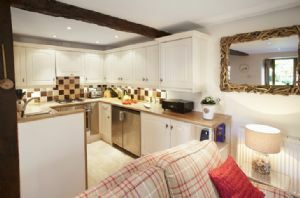 Well equipped, stylish and cosy retreat. Beautiful cottage, cosy & clean. The cottage had everything to make our stay enjoyable, this is teturn trip for us . Thank you for your review of Hay Loft. We are delighted that you had such an enjoyable stay and look forward to making another booking for you. Beautiful cottage beautifully presented. We loved it. Hayloft was just perfect. 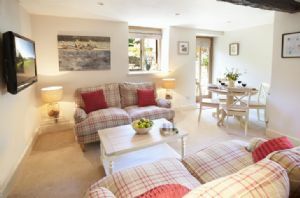 Gorgeous clean modern interior set in a beautiful peaceful village in the Cotswolds. With amenities a short drive away and plenty of walks from the front door. We would of liked a shower attachment for hair washing in the upstairs bathroom. As we were 2 couples staying we didn't want to use the downstairs shower. 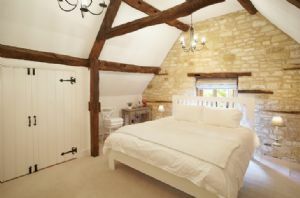 Nestled in the centre of the peaceful and picturesque village of Stanton, in the heart of the Cotswolds, you will find the Hay Loft. A charming 17th century converted Cotswold stone barn with many exposed beams, yet with a light and airy feel and good headroom for guests above 6'. Stanton is quintessentially Cotswolds, picture postcard pretty and a welcome retreat from the hustle and bustle of everyday life. 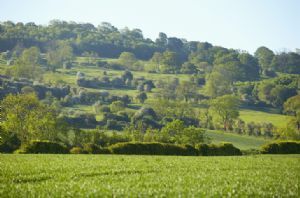 The Mount Inn at top of the village has extensive views over both the village, the surrounding Cotswold countryside and the Vale of Evesham. Extremely popular, booking is recommended in this friendly, cosy public house serving good food and local Donnington Ale. The Cotswold Way runs through the village so it is the perfect place to stay if you enjoy walking and cycling. 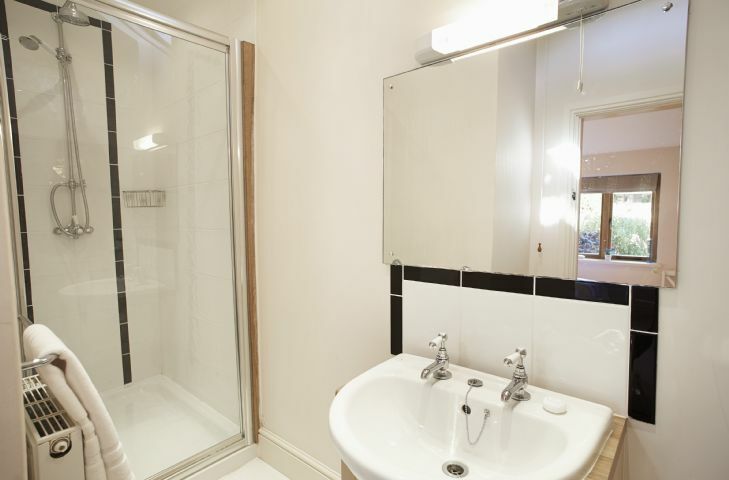 One ground floor bedroom with en-suite shower room. One first floor bedroom with en-suite bathroom. A well maintained, attractive walled garden to the front with well-established beds full of seasonal colour, a number of unusual small trees and wooden table and chairs. Parking for one vehicle* please see layout. On the south facing side is a small sunny terrace. Within walking distance to various local pubs. Exposed beams and an exposed stone wall. Electric cooker and gas hob, fridge, freezer, dishwasher, washing machine and tumble dryer. 40" television with HD Freeview. DVD and iPod docking station. Broadway with its many pubs and restaurants and a great delicatessen is just three miles away. The small but busy town of Stow-on-the-Wold with a large selection of interesting shops is nine miles away. 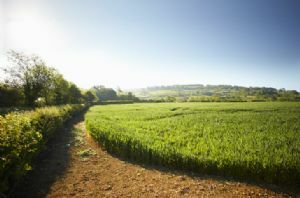 Winchcombe is a must for food lovers with a number of great eating hostelries. Cheltenham boasting the popular Gold Cup in March is 11 miles away. 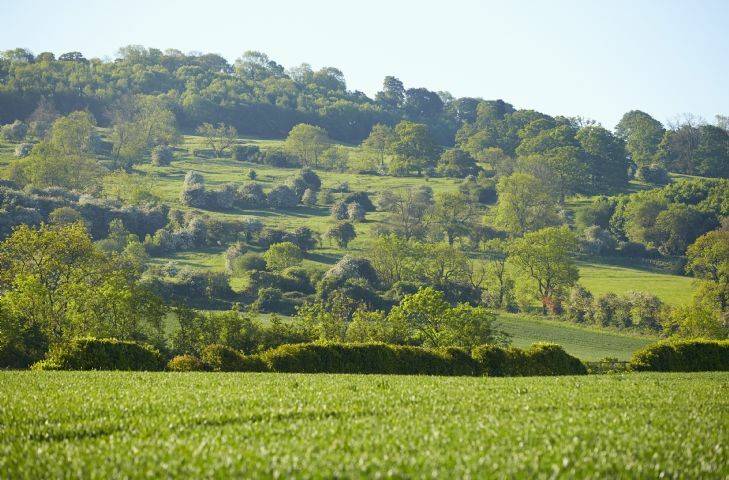 Stanton, which lies on the Cotswold Way, is a delight for walkers and cyclists, with trails to suit all abilities running from the village. Pubs at Snowshill and Broadway are both within walking distance. For riders of all levels, horses can be hired at the renowned Jill Carenza Equestrian centre on the edge of the village. Steam enthusiasts can board the Gloucester and Warwickshire steam railway at Toddington (3 miles) and mountain bikers have endless hilly trails to keep them busy.